The basic cleansing is a crucial step to achieve beautiful skin! 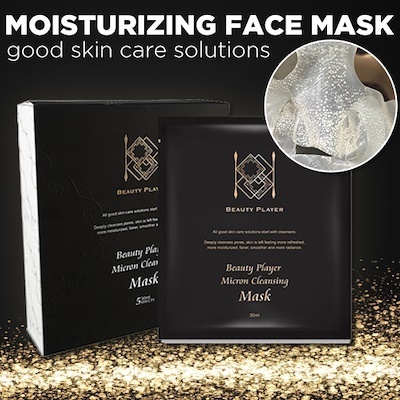 A new generation of cleansing facial mask contains special adsorption ability to deeply cleans the pores to allow skin to breathe and immediately infuse the concentrated essence from the mask into the skin. This instantly hydrates, tightens, brightens, and smooths skin to help it return and maintain its optimal state. Not only show up your beauty from the surface of the skin but also from the inner glow.